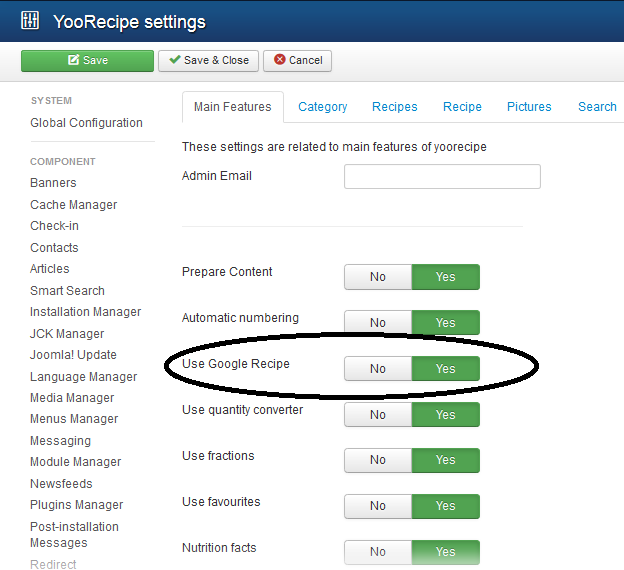 One of NS Recipe's built-in features is summarizing content of a recipe page so that it makes it easier for Google (and users) to understand what the page is about. Using rich snippets, Google web crawler adds pages to Google index in a way that search results can show the recipe picture, ingredients and other useful information. This feature is enabled by default. You can change it from NS Recipes Component Options.